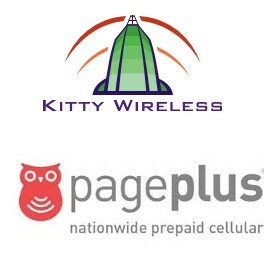 PagePlus online dealer Kitty Wireless is having a 25% off sale on Page Plus Cellular services now through July31st. Use Coupon Code SERV25 at checkout to save 25% off any Page Plus New Activation, ESN (Phone) Change, ESN Swap, ESN Reset, ESN Check, Device Release or Port Request at kittywireless.com. Most of these services have a regular price of $8.99, so using the coupon saves you $2.25. Note that PagePlus will do most of these services for free during their normal business hours provided you are willing to spend some time waiting on hold. If your time is valuable, using Kitty Wireless automated services will save you lots of time for a nominal fee. Sounds like a cool deal. Question, if I bought a Galaxy Nexus will it run on PagePlus? Im assuming the Nexus phones google sells are compatible with the network or will Verizon phones be the only ones that can work. As an aside, since it won't be using a sim with PagePlus is the phone potentially available to use on both PagePlus network concurrently a gsm operator domestically or abroad? I'm not sure if getting the phone on PagePlus service will somehow "lock" the device or radios? I'm thinking of getting PagePlus bc the network is probably good to great compared to other prepaid, but I want the flexibility to use on AT&T or Tmobile locally or abroad on foreign GSM carrier whenever the need should arise. Page Plus is an MVNO (Mobile Virtual Network Operator) that runs off of Verizon 3G network. At this time Verizon does NOT allow any of its MVNO's access to its new 4G LTE network, only 3G. As far as using the new Galaxy Nexus with Page Plus, I am pretty sure that its possible but I have heard some problems with some Verizon 4G LTE phones not wanting to connect to Verizon's network through Page Plus or MVNO's. I heard it has to do something with the LTE SIMS. Just Google it and I am sure you can find out about any issues before hand. What I do know is that you can use just about any Verizon branded 3G Android or WP7 with Page Plus. I have a friend who is using an Motorola Droid X and loves the service. One of my coworkers also is with Page Plus and using an HTC Droid Incredible 2, and again loves the service and price. I have seen many on YouTube using Verizon branded WP7's too. Page Plus may not be able to offer 4G yet, But when it comes to coverage, phone selection and reliability, the service can't be beat. If you are thinking that you have to have a 4G (HSPA+, WiMax, LTE) phone to enjoy HQ YouTube videos or Netflix movies without long buffer times, think again. Cause Verizon's 3G (EVDO Rev.1)(Max 3.1Mbps Down) is plenty fast in most places to load movies and videos with minimal buffering. My Droid Bionic on 3G can play a HQ YouTube video in about 5-10 sec. Even when I am only pulling in about 500-600Kbps. Verizon's 3G network is optimized to advance and increase your download speeds on-demand. Just to add to what Sean said, only the Verizon Galaxy Nexus has any chance of working on Page Plus. The unlocked one that Google sells for is GSM only. It has no CDMA support and will never work on Page Plus.